Our Blog contains the latest news from MLRE Group, tips for selling or buying, home improvement trends, and the latest real estate advice. Subscribe today to stay informed on all things real estate! We are honored that our listing at 3 Aquinnah Path in Scituate has been featured in the "Top 5 South Shore" website! Houzz Kitchen Trends Study 2018: Homeowners are shelling out for extra storage, new countertops and wireless appliances. 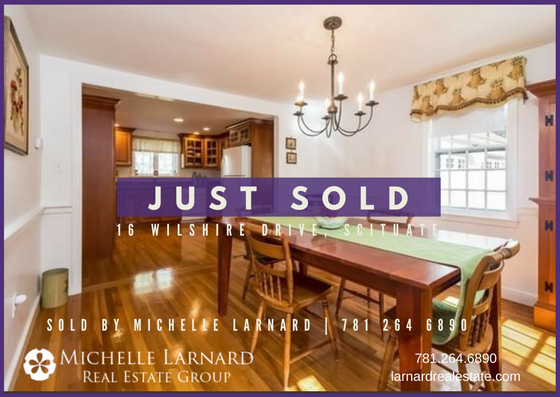 Congratulations to Michelle Larnard on the Michelle Larnard Real Estate Group's first closing of 2018 .... 16 Wilshire Drive in Scituate!